The Veneto is a virtual cornucopia of wine grapes and diverse winemaking, spanning the spectrum of delicate sparklers to hearty reds. As the largest DOC producer in Italy, the vineyards populate the areas surrounding Venice and Verona, butting up against Lombardia. Here, Lugana and Valpolicella, opposite yet complementary, offer wine drinkers something different and delicious, white and red, yin and yang. 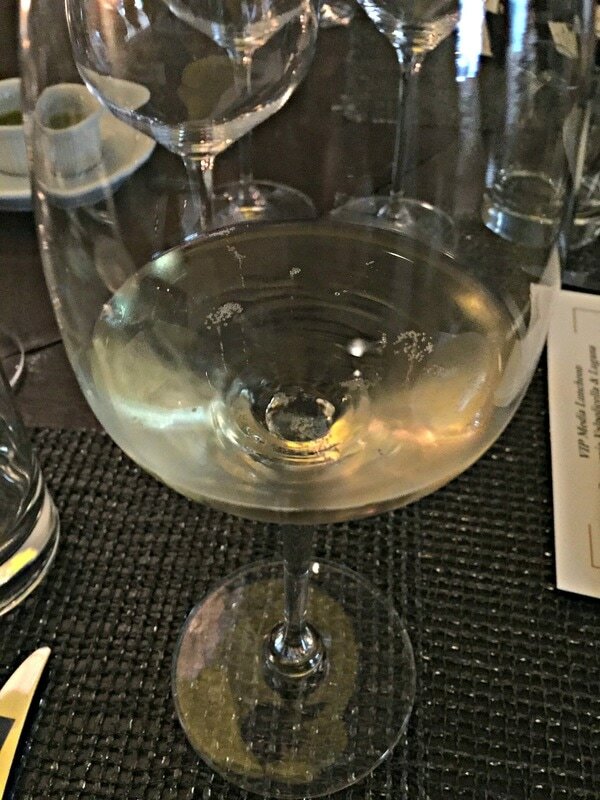 Lugana, the luminous, high-acid white wine with a floral, citrus bouquet, may not be familiar to many wine lovers. Relatively unknown until recently, this gem from the southern shores of Lake Garda in Northern Italy is seeking its time in the sun. Lugana exports more than 70% of its production to Europe, the US, China, and Japan, but it’s the Germans who demand the biggest share of these exports. Lugana is made from Turbiana, the local name for a wine grape that is genetically identical to Trebbiano di Lugana and Verdicchio Bianco. It’s thick-skinned and late ripening, luxuriating in the mild climate surrounding Lake Garda, where the vineyards lie at the division of the northern continental climate and the southern Mediterranean one, belonging to two wine regions, Lombardia and the Veneto. Constrained by geography and economics, Lugana’s charms are reminiscent of Chenin Blanc, it can be vinified in many different incarnations, from sparkling to late harvest, and is capable of evolving and aging into a complex wine, assisted by a combination of sur lie and mixed vessel aging of steel and wood. Within the past 20 years, producers have discovered the aging potential of Turbiana, the Superiore, Riserva, and late harvest classifications have been introduced, expanding the charms of this little known wine grape. As Lugana ages and gains complexity, it develops an intense yellow color with gold highlights, and a stronger profile of yellow fruit, lemongrass, and an almond note. The higher quality wines are more lush, with notes of pineapple and mandarin orange, and a green almond note that becomes more hazelnut as the wine ages. 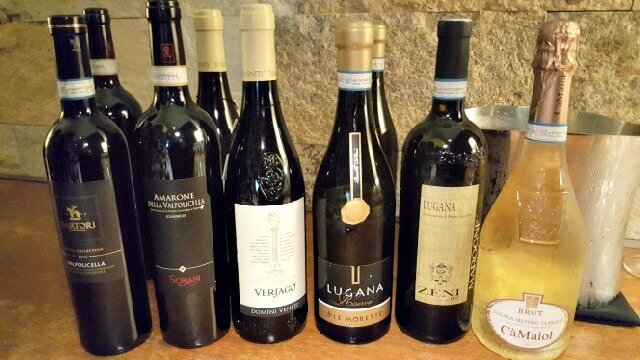 Five different incarnations of Lugana reveal its versatility. 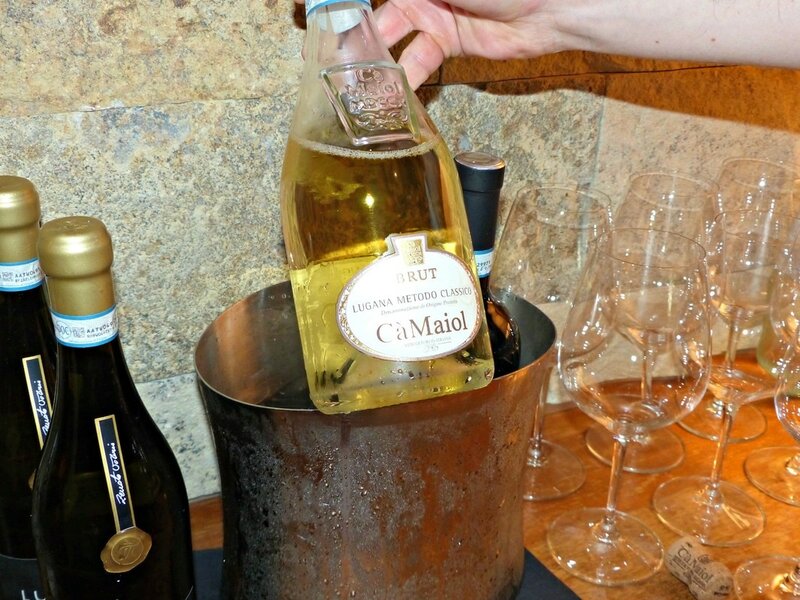 Lugana’s character lends itself well to the Spumante process, a limited production of both Charmat and Classic Method techniques, which yields a fresh, fragrant, yet savory sparkler. Basic Lugana, in its youth, is a pale yellow wine with green highlights, with a fresh floral bouquet and hint of almond. 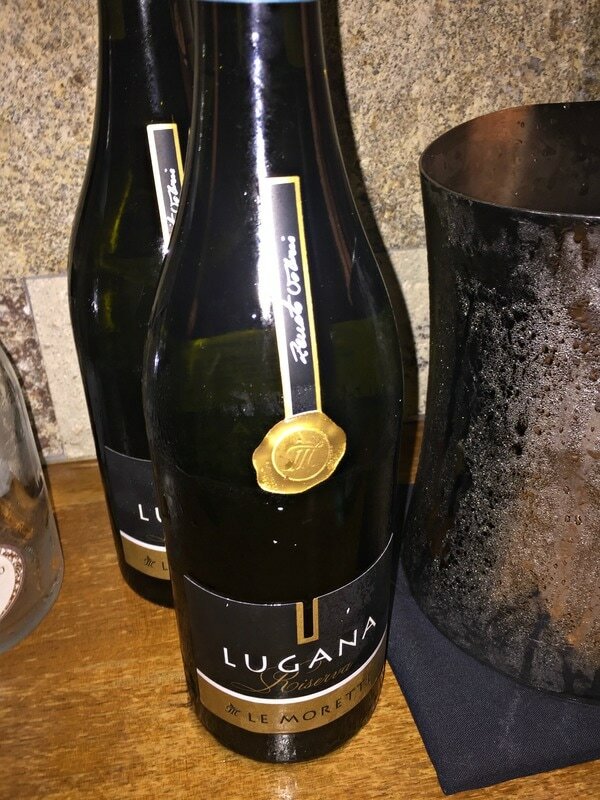 The next step up is Lugana Superiore, aged for at least one year, it displays more complexity, with apple, citrus, white flowers, herbs, almond and spice, a mineral character, structure, and a touch of salinity, an elegant wine. The Lugana Riserva, aged for 24 months, is more evolved, with notes of flint and mineral. Vendemmia Tardiva, a late harvest rendition, is a good balance of sweet and acidity. 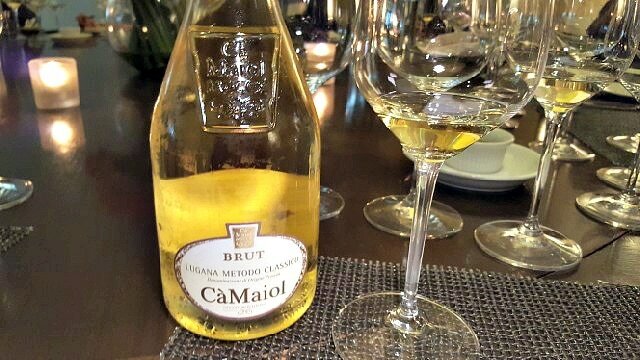 The Cà Maiol Brut Lugana DOP Spumante Metodo Classico is delicate, with a fine mousse, aromas and flavors of pear, apple, almond and biscuit from the 3 years lees aging, and a clean, slightly tart finish, a perfect wine to beat the summer heat. 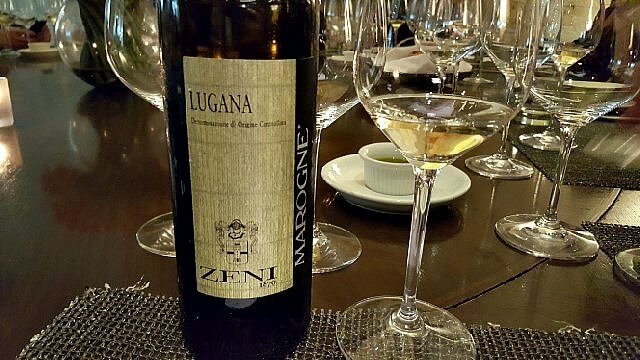 The Zeni Marogne Lugana DOC is a “Cru” wine, made from older vineyards, and is more full-bodied due to spending a short time in barrel. 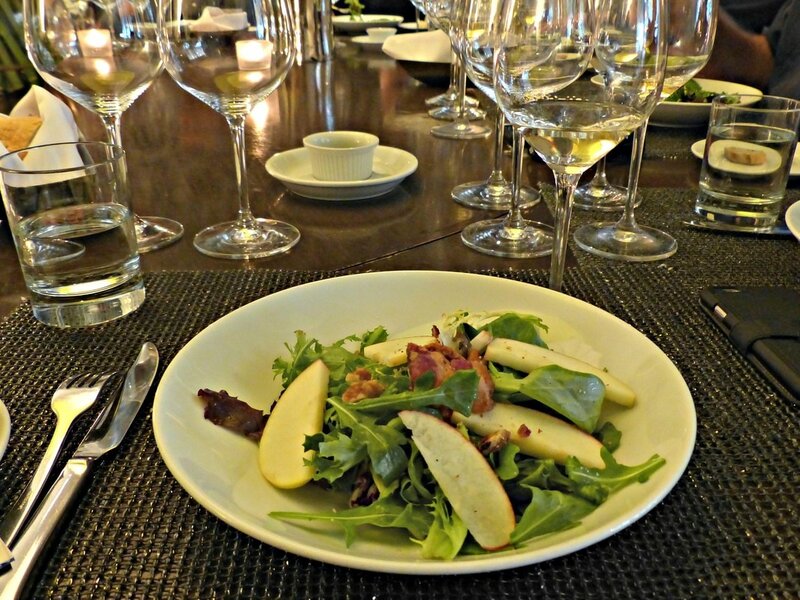 Aromas of flowers and exotic fruit accompany a savory palate, whose structure and balance linger on the finish. 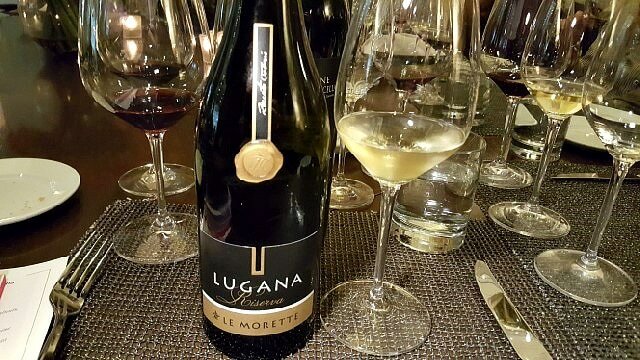 The Le Morette Lugana DOC Riserva 2013 is at the top level of Lugana still white wines, a prime example of how wonderful Turbiana can age. New winemaking techniques allow for longer aging, a mix of tank, barrel, and bottle, increasing its body, texture, and mouthfeel, and offering a counterpoint to the high acidity. Still young at almost four years old, the Le Morette is a full-bodied, balanced wine, with lemon and grapefruit, and a streak of salinity that is intriguing. Just like a work of art, this is a limited edition, with numbered bottles. Valpolicella and its flagship Amarone represent a unique twist on the region’s wines, a blend of indigenous grapes and historical winemaking processes. Corvina, Rondinella, and Corvinone are the main grape varietals grown, along with a little Molinara, and Valpolicella (Basic, Superiore, and Ripasso DOC) makes up over 75% of the production, with the Amarone and Reciota DOCG versions comprising the balance. Mostly exported, 75% to 85 countries, these robust red wines channel a depth of flavor and a velvety roundness. Steeped in history and tradition, the “Classico” and “Valpantena” are the oldest areas of production, with viticulture going back to Roman times. The unique “Ripasso” winemaking method is, in essence, a secondary fermentation. which involves adding, or “repassing” fermented Valpolicella wine over the skins and lees of recently fermented Amarone wine. Originally done to strengthen the wines’ structure in bad harvest years, it’s now a style of wine and a consumer choice. This technique produces a bigger wine, more complex and flavorful, with deeper color and texture, while still keeping the vibrant fruit in the mix. This is different from the Amarone process, known as “appassimento”, which makes the wines with partially dried grapes, and aged in large wooden casks for at least two years. This winemaking technique makes even bigger wines than Ripasso, more full-bodied, flavorful, and higher alcohol, although they share many of the same aromas and flavors. Both wines are destined to pair with food, although they are very pleasant to drink on their own. Five different classifications of wine are offered under the Valpolicella umbrella. The basic Valpolicella is a fresh, young wine, with aromas of cherry and rose, and a soft palate with a pleasant, bitter note. 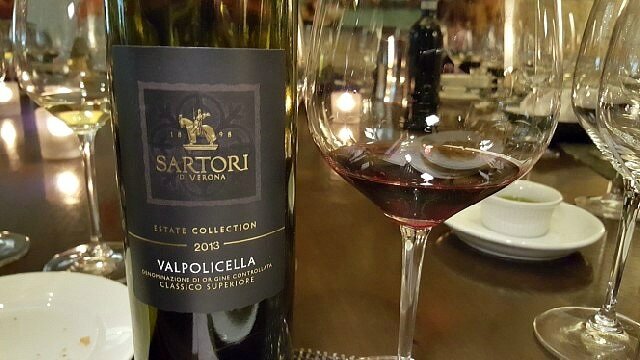 Valpolicella Superiore is made from the best grapes, and aged for at least one year, adding a vanilla note and velvet texture to the wine. Valpolicella Ripasso is big and round, with more structure and alcohol, and an evolved profile of red fruit, but even more velvety. 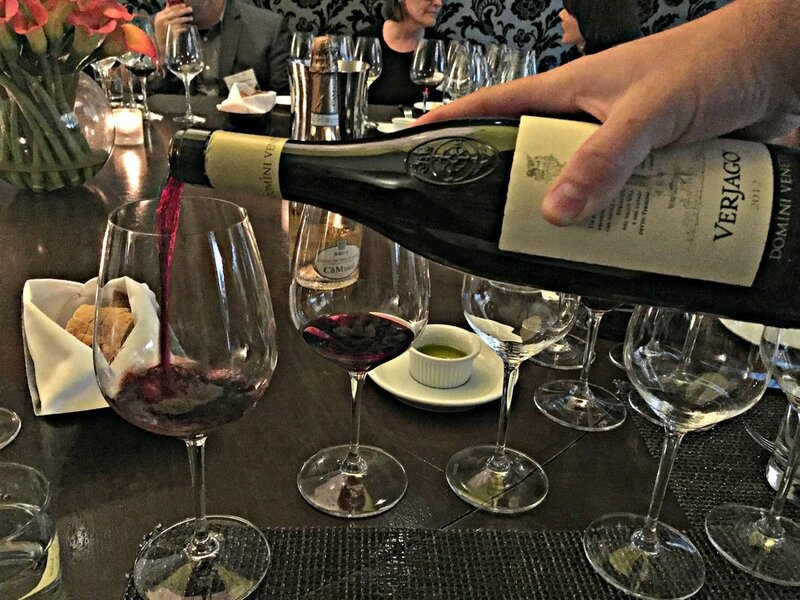 Amarone della Valpolicella is intense and full-bodied, with dry fruit, tobacco and spice notes, very deep flavors that just get better with time. 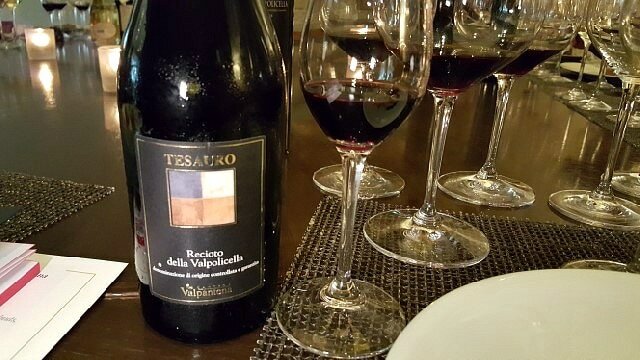 Recioto della Valpolicella is designed to be a dessert wine, but although its bouquet is strong and jammy, there is quite a bit of acidity that moderates the sweetness. The Consorzio Tutela Vini Valpolicella joined their neighbor Lugana on this promotional tour, looking to forge their identities and court new consumers. Embracing the trend towards sustainable viticulture, their “RRR - Reduce, Respect, Retrench” program seeks to align vineyard techniques to conserve the surrounding environment, for example, reducing the use of pesticides and nurturing biodiversity in their vineyards. Starting with the 2016 vintage, the wines, which are produced in accordance with these guidelines, will carry the “RRR” mark on their label. In addition, the Consorzio is encouraging tourism to the region, touting art, history, and wine as a lure to foreign tourists. 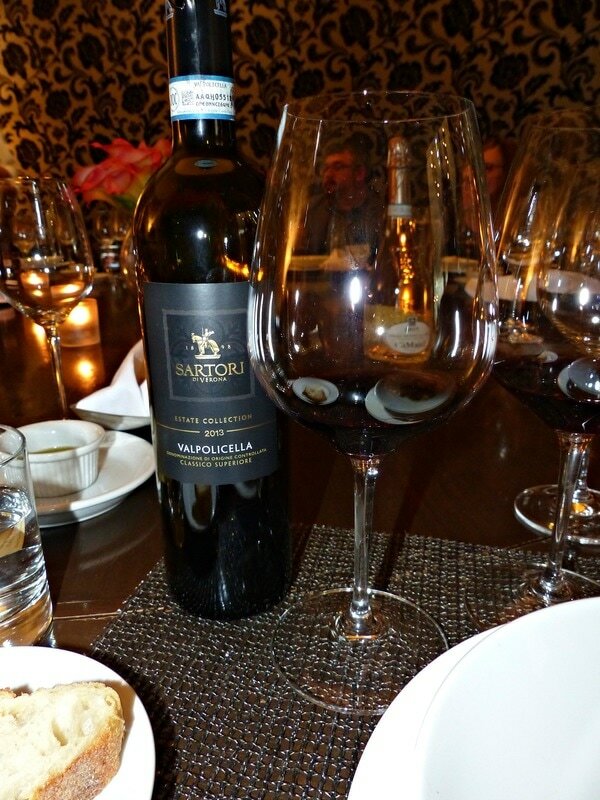 The Sartori di Verona Valpolicella Classico Superiore DOC 2013 is a superb wine, silky and smooth, with rich red fruit flavors and herbal notes, concentration without the Ripasso method. It finishes deep and persistent, compelling one sip after another. 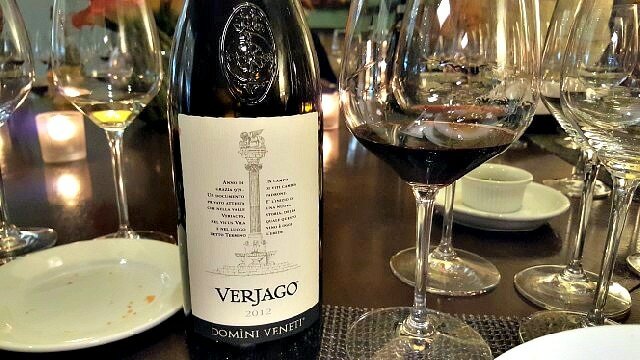 The Cantina Valpolicella Negrar Valpolicella Classico Superiore DOC 2012 "Domini Veneti Verjago" is a top wine of the region, made from grapes from the best vineyard sites, by a co-operative of over two hundred farmers. A rich nose of plum, fig, mocha, and spice gives way to a lively and concentrated palate, with herbal and menthol notes, a structured wine that will continue to get better with age. 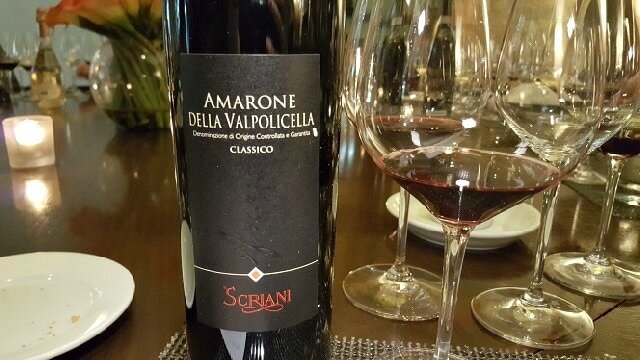 The Scriani Amarone della Valpolicella Classico DOCG 2012 is an intense wine, with aromas of red fruits, berries, and cherry jam, and flavors of licorice, spice, bitter almond, and vanilla. It glides across the palate, smooth, velvety and dense, with a finish that goes on and on. The Cantina di Valpantena Torre del Falasco Tesauro Recioto della Valpolicella DOCG is fragrant and intense, with aromas of blackberry jam and spice. This is an elegant wine with good structure, which initially has a perception of sweetness but it’s acidity keeps the balance. Made by one of the best co-operatives in Italy, this is considered a dessert wine, but it’s not too cloying.